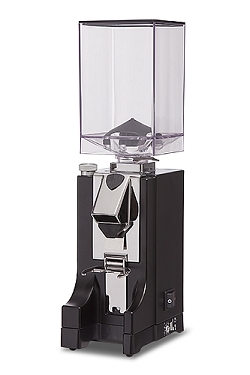 Expobar Pulse not only perfectly suits our espresso coffee machines, but introduces a perfect balance between performance and functionality within the grinding process. 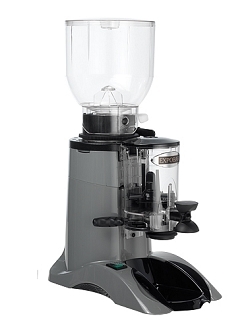 Hopper (1/2kg) made of unbreakable and non-deformable material (co.polyester), with fast lock system and self-levelling when off the coffee grinder, with the possibility of cleaning in a dishwasher at 90 °C. Micrometric regulation of the coffee grind using a regulatory pawl. 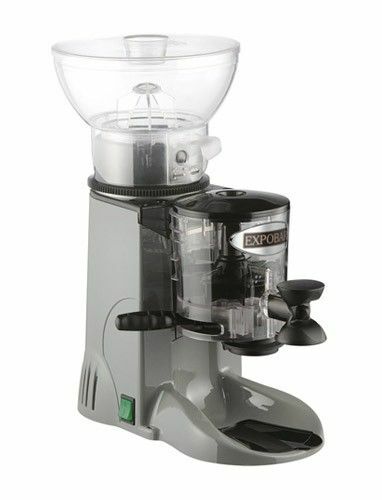 New expulsion system for the ground coffee (always leaving the grinding cavity clean when the coffee grinder stops). Body made of anti-scratch material, in a single piece (less vibrations, more robustness) with ventilation (internal air inlet and outlet) system. Tray integrated into the bodywork. Adjustment of coffee dosage through an electronic circuit board 0-35’’. Hardened steel grinding blades (62/65HRc) 60mm in diameter. 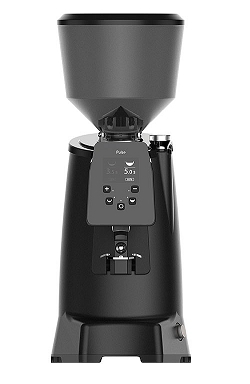 Hopper (0.5 kg) made of unbreakable and non-deformable material (co.polyester), with fast lock system and self-levelling when off the coffee grinder, with the possibility of cleaning in a dishwasher at 90 °C. Micrometric regulation of the coffee grind using a regulatory pawl. 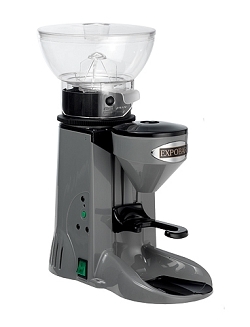 New expulsion system for the ground coffee (always leaving the grinding cavity clean when the coffee grinder stops). Bodywork manufactured in anti-scratch material, in a single piece (less vibrations, more robustness). With ventilation system (internal air inlet and outlet). Tray integrated into the bodywork. Single-bodied, hermetically sealed doser without aroma loss, vibrationless and made of unbreakable material. Ergonomic handle. Universal coffee tamper (rotatable). Doser fitted with gasket-saver (portafilter positioner). Hardened steel grinding blades (62/65HRc) 60mm in diameter. Left- or right-handed doser lever. Coffee counter. Optional customisation system on the doser in chrome plate. In spite of its smalls dimensions, Mignon grinder always garantiee the same grinding thanks to stepless micrometrical grinding adjustment. The direct dosing garantiee the best quality and aroma. Mignon is the perfect grind-on-demand grinder to offer to your customers as an alternative to traditional grinders. Mignon is the best friend for the barista wish to satisfy to their customers. 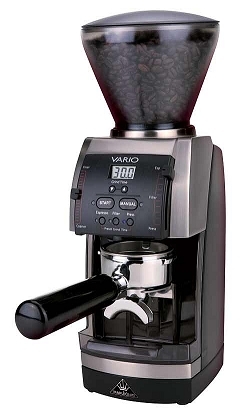 Vario is a compact, quiet and userfriendly OD grinder. It offers over 200 grinding settings for the grinding. It also has 3 pre-set choices for espresso, filter and presso coffee. Recommanded for our 1 group espresso manual machines. Cleaning agent for grinders. One jar lasts for 12 cleanings. Recommended to use twice per month.